Fonts are my fave. With Halloween around the corner, I wanted to share a few Halloween fonts for you to download! I also have a pinterest board for fonts. I’ve posted about fonts before, so you guys know I love fonts! 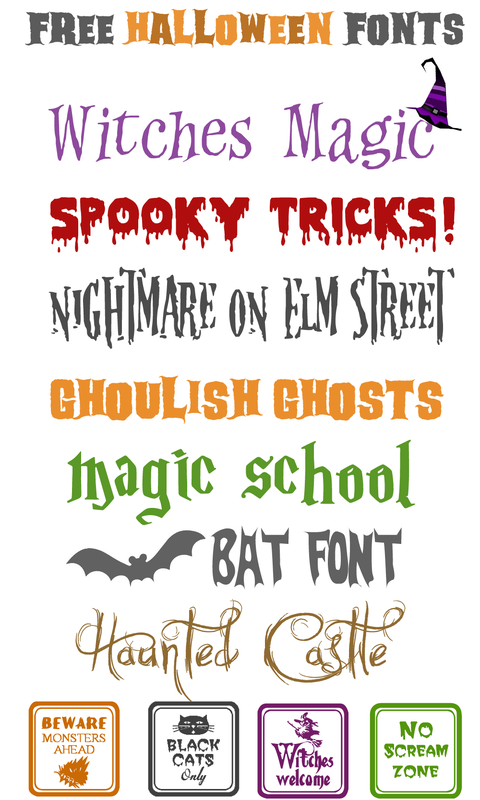 So I wanted to share my round-up of free Halloween fonts for making party place-cards, gift tags, decorative signs, banners, you name it! Enjoy! And as always, I’d love to know how you use them – leave me a comment (I read them!!). 12 Halloween Signs: Yes, it’s a font! And it’s free! These are great for making cute signs. Here is an example of how I used a font to create a Halloween place card for a Halloween dinner party! Add fonts over larger graphics or complex fonts on their own. 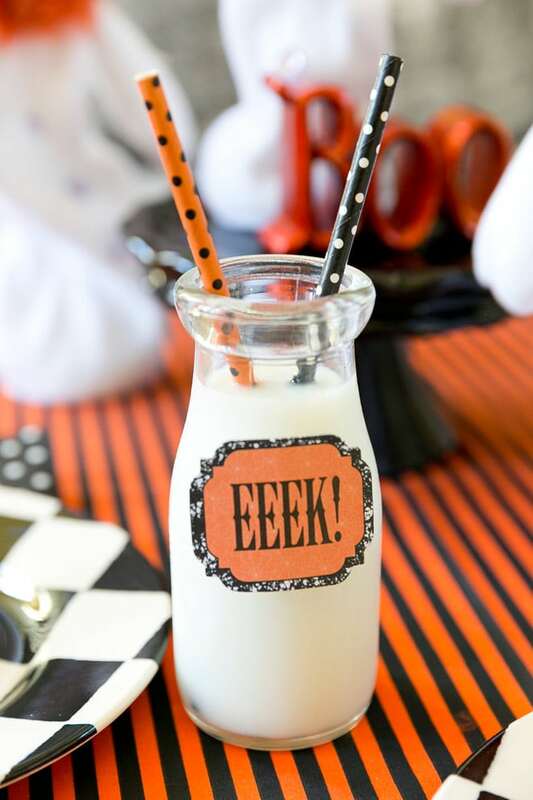 Use a red text for a vampire party or a cute orange font for a kids’ Halloween party! Above is another example of using cute Halloween fonts to make festive party decorations! 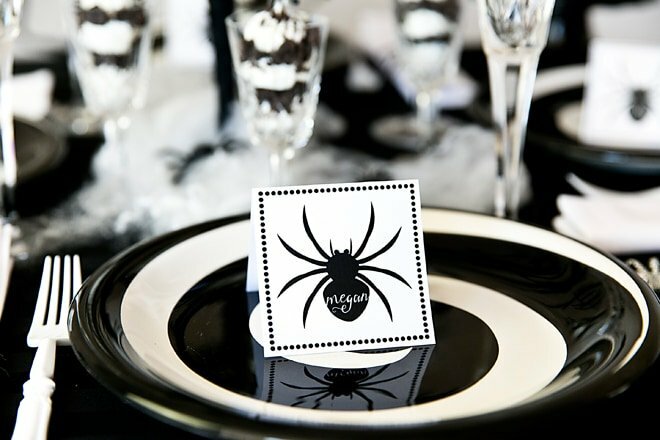 Fun labels that say “eek” or “boo” are great for placing on drinks, serving trays, favors, etc. There are endless options! 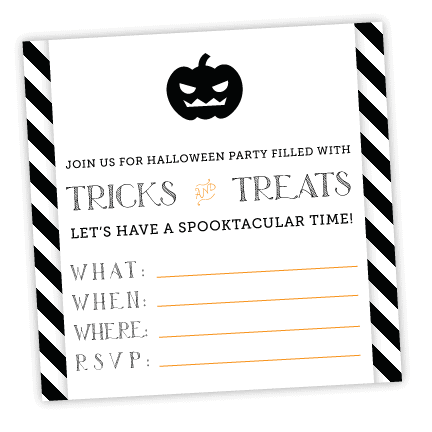 Make your own Halloween party invitations that you can mail or email over to your party guests! Share with me how you use your Halloween fonts! Does the bat font make the bat shape? This is just so much fun! Can’t wait to use them. These fonts are so cute! My kids will love them. However, for some reason, the only font I was able to install was the bat font. When I click on any of the other links I just hear a click and see a yellow exclamation mark. Has anyone else had a similar problem? You have to visit each site that hosts the font and click to download.